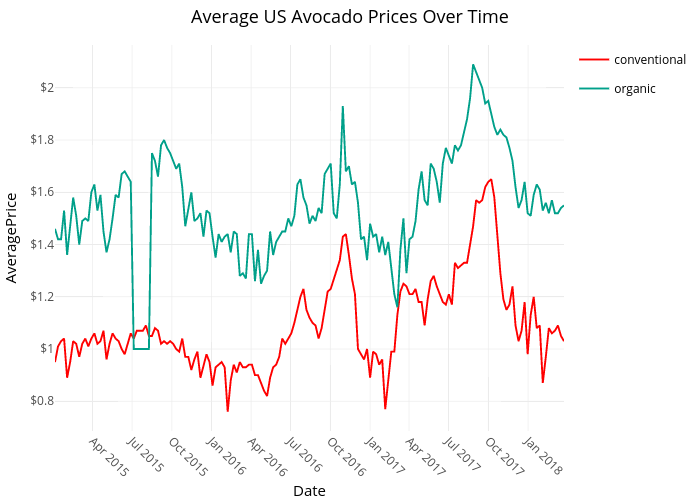 Bixby96's interactive graph and data of "Average US Avocado Prices Over Time" is a line chart, showing conventional vs organic; with Date in the x-axis and AveragePrice in the y-axis.. The x-axis shows values from 2015-01-04 to 2018-03-25. The y-axis shows values from 0.6861111111111111 to 2.1638888888888888.